Ep 36 - Whose Topic Is It Anyway? Ep. 34 - Nexus Is Dead, Long Live Nexus! This week, the guys are looking at and discussing the Mythic Invitational event being hosted at PAX East this year. They'll talk invitations, break down the Duo Standard format, and talk about the future direction of Magic! This week, Mike, Sam, and Paulo are talking about their favorite casual formats of Magic and defining what's fun to each of them! If you're looking to take a quick break from Standard or Modern, give one of these casual formats a shot! In this week's episode, we delve a bit deeper into Standard, talking about the innovative deck Sam Black played at GP Milwaukee, discussing the winning Jeskai list, and analyzing the direction we believe the format is going. We're discussing the current modern metagame. Which decks are we thinking are competitive this week? We're identifying the trends we see players are reacting to in the past few weeks and breaking down which archetypes would be successful next week. We're talking about the fundamentals of play testing. How many matches create a relevant sample size? How to work with your teammates to determine the correct upcoming meta? How should you play test potential sideboards? This week it’s just us two, Mike and Sam. Paulo is on his honeymoon and will be out for a couple of weeks. We’re starting our testing with Guilds of Ravnica Standard. What archetypes are capturing our attention in this first round of testing? Which specific cards seem to be breakout hits? We’re giving you a head start on the format with our analysis, this week, on Pro Points. We're talking about how to manage travel to tournaments. We give our tips on booking flights, hotels, food, and our own personal advice that we've mastered in the decades traveling around the world playing Magic: The Gathering. Paulo is also getting married this week! So congrats to him on that! We talk about bit about Paulo's wedding and in the next few weeks, it's just going to be Mike and Sam. We're talking about MTG Arena's open beta, and what we think the new standard rotation is going to look like now that Guilds of Ravnica is out. We've got some very interesting takes on whether or not MTG Arena is going to be viable as a playtest platform moving forward. And also what Arena's implications are going to be for Magic as a whole. We're recapping what happened at the Magic: The Gathering World Championships 2018. Our very own Mike Sigrist competed in Las Vegas. We discuss happenings from Worlds 2018, Gerry Thompson's protest by not playing, and also Ken Yukihiro's disqualification. We're also discussing future possible formats for Pro Tours and bringing back the ELO system for MTG. We're diving into some new decks for standard using cards from Guilds of Ravnica! We recorded this on 9-15-18, so not all of the cards from Guilds of Ravnica have been previewed yet. There will be lots of changes as the metagame emerges, but we'll be taking a first look at what we think are competitive strategies. We have a preview card from Wizards of the Coast that we're excited to share with you from the upcoming set Guilds of Ravnica! Justice Strike RW - Instant Target creature deals damage to itself equal to it's power. We've sharing a preview card from Guilds of Ravnica and discussing our thoughts on some interesting cards that have been previewed so far. How will the new set change Standard, Modern, and Legacy? Also! Congrats on Paulo Vitor Damo da Rosa for his 2nd place finish at GP Detroit, which is his 4th team Top 4 this year! In this episode, we're discussing about how Magic: The Gathering fits into our goals and life in a broad sense. What would we do if Magic were no longer a part of our lives? What are our broader life goals? What advice do we have when people ask us about what's next? We're discussing all of the mind tricks, cleaver plays, fake outs, and the mental subgame that goes on in Magic: The Gathering. It's important for players of all levels to understand what techniques and strategies break the rules to deceive their rules and which ones bend the rules to your advantage. We're talking about our ballots for the Pro Tour Hall of Fame 2018. 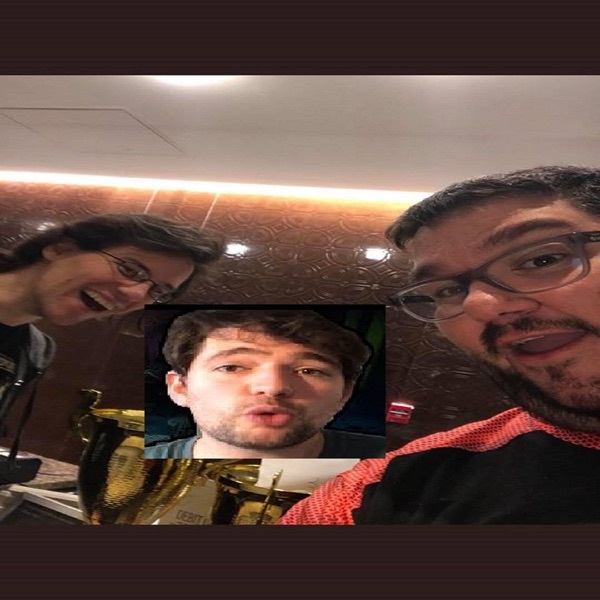 We discuss our thoughts on the top players on this year's ballot, the importance of integrity, and what it means to be in the Pro Tour Hall of Fame. We recap Pro Tour 25 and discuss the current Standard meta for upcoming GPs. In today's episode, we go over mistakes that we normally make in games of Magic, so that you can avoid making them. We also talk about the biggest mistake each of us has ever made in a game. Ep 7 - All about teams! In this episode, we talk about Teams in Magic - whether a team is necessary to be successful at a high level, the best way to find a team, the best way to test, what qualities make for a good and a bad teammate, and so on. In this episode, we talk about M19 draft and sealed, different approaches to deck selection, GP Sao Paulo, and Pre-releases in general. PVDDR, Sam Black and Mike Sigrist talk about the recent announcements from WOTC - the Deathrite Shaman & Gitaxian Probe Ban, the lack of ban on Stoneforge Mystic and Goblin Chainwhirler, and the controversial Silver Showcase. Ep 4 - The Return of the core set, M19! This is the first episode of a podcast by Paulo Vitor Damo da Rosa, Sam Black and Mike Sigrist. In it, we talk about possible configurations for Unified Standard, what's different about it, and what we believe people should play.